Winner of the Fourth of July Diaper Trio is...fancygrlnancy! 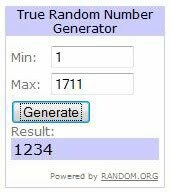 Congratulations to lucky comment #1234, fancygrlnancy a.k.a. Arizona Mama! 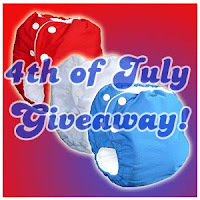 She's the lucky winner of our fabulous Fourth of July Diaper Trio! This means she gets three diapers; Red, White & Blue Knickernappies sized diapers! Please stop by her Blog Arizona Mama and congratulate her! Nancy, please contact us at marketing@knickernappies.com to claim your prize! Thanks to everyone who entered, this was by far our most successful giveaway yet! I just emailed you.. YAY!